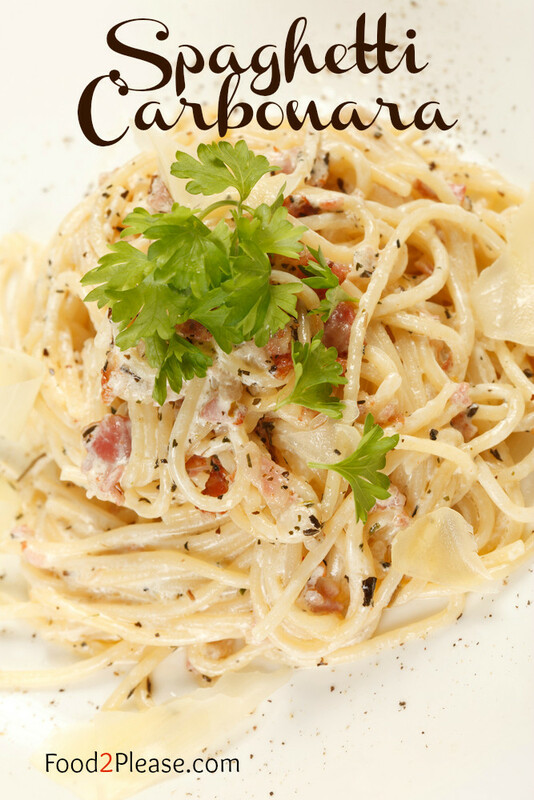 Classic pasta carbonara using spaghetti as the pasta. Really quick and easy to make resulting in a creamy dish that is both filling and tastes great. This recipe is easy, delicious and really fast. How does 25 minutes from start to plate up sound to you. I know it sounds damn good to me. Feel free to try some chicken or beef strips but to be honest I prefer to keep a classic recipe like this just as I found it. I have used bacon before because that is what I had handy but it is best to use pancetta. Melt butter in a non-stick frying pan over medium-high heat. Add mushrooms. Cook, stirring, for 5 minutes, or until tender. Remove and keep warm. Combine cream, eggs, three quarters of the parmesan, chives, and salt and pepper. Place pasta into a saucepan. Add egg mixture, mushrooms and ham. Toss over low heat until sauce thickens. Season. Serve with remaining parmesan. What type of cream? Heavy whipping cream?